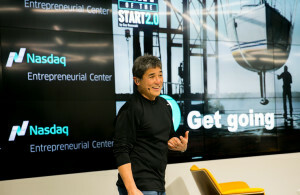 Chat with Guy Kawasaki on "Art of the Start 2.0"
I had a great time discussing startups – and how to launch them – with longtime friend, colleague and startup guru Guy Kawasaki at NASDAQ’s Entrepreneurial Center in San Francisco. 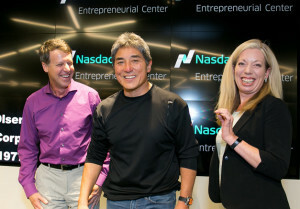 Great hospitality from the center’s exec director Nicola Corzine (seen with Guy and me below). 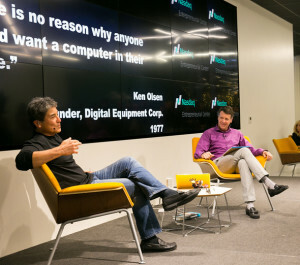 In fact, check out chapter 1 of Art of the Start 2.0″ for some insights from yours truly. Here’s a link to Guy’s book on Amazon. Highly recommended!